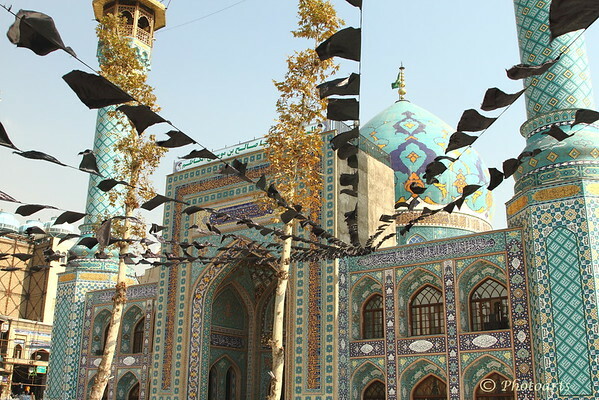 Black banners hung symmetrically over the Shrine of Saleh (Imamzadeh Saleh) in Tajrish, North of Tehran signals the arrival of holy month of Moharam. Great details in the decoration of the building. This is stunning. I really like knowing the origin of the black banners. Well captured. Wonderful perspective and capture of the details of the building. I like the POV to include the banners. What a beautiful and intricate building!